Our technicians will travel from Outer Harbour all the way down to Sellicks Beach (and beyond, just ask!) for all kinds of western suburbs bumper repairs. SMART Paintworx technicians are mobile and ready to fix your western suburbs bumper repairs. Don’t let a crash shop convince you to replace your bumper and lose your vehicle for a week when a SMART technician can repair it at a fraction of the price and at the convenience of your home or office in just one day! 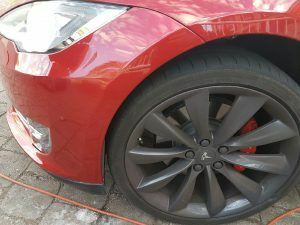 We offer obligation-free, no cost quotes based on a detailed description or a photo of the damage if it’s a bit more complicated than a scrape or small dent. 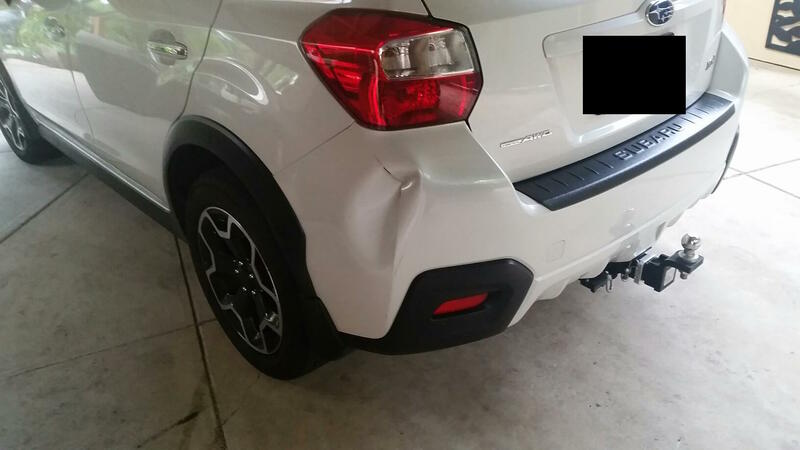 Bumper damage like this can be repaired at your home or office. 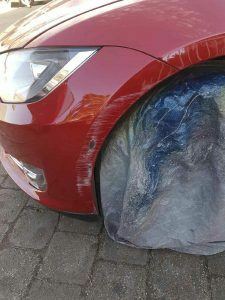 Have a look at our gallery page to see other western suburbs bumper repairs undertaken by SMART Paintworx technicians. 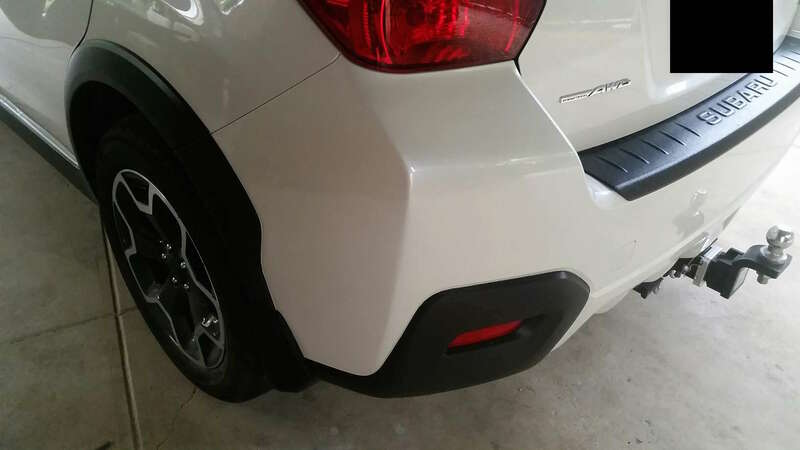 Whether your bumper is painted or textured we can repair it back to looking as good as new. 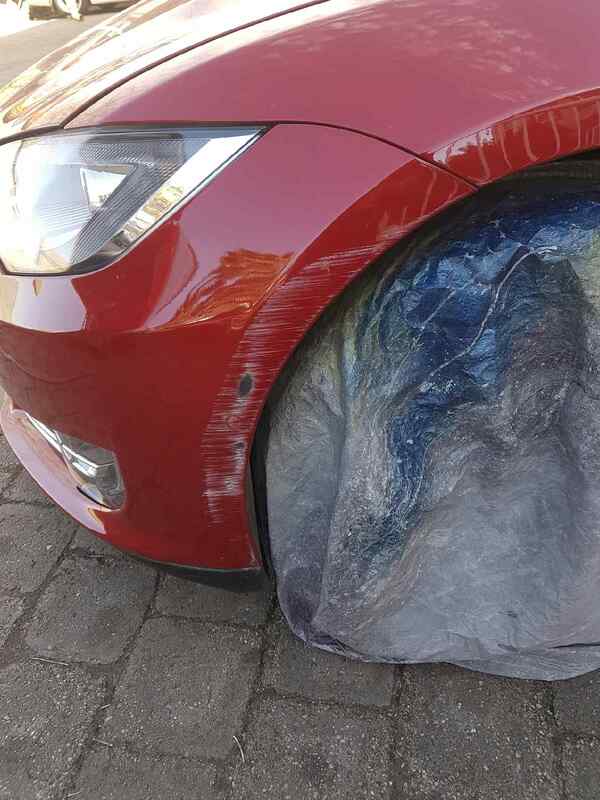 Whether your vehicle is new or pre-loved SMART Paintworx can help restore your vehicle’s bumper bar. Our friendly office staff will help you with your western suburbs bumper repairs and are just a phone call away! For a free quote contact our office on 0410 630 075. 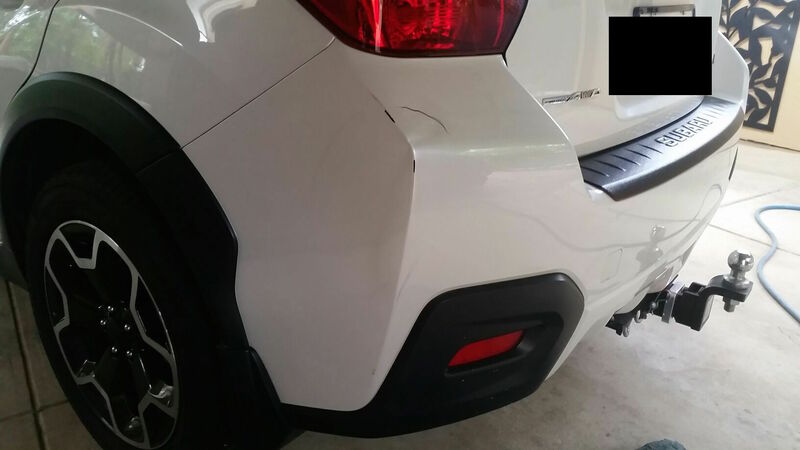 Pearl White bumper dent AFTER a SMART repair – looking as good as new! This entry was posted in western suburbs bumper repairs and tagged Western Suburbs Bumper Repairs. Bookmark the permalink.